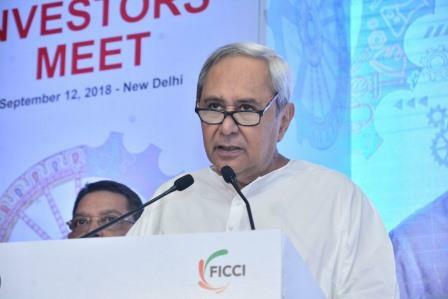 New Delhi: In the run-up to the Make in Odisha Conclave 2018, the Odisha government organized an investors’ meet in New Delhi in association with its industries partner Federation of Indian Chambers of Commerce and Industry (FICCI) on Wednesday. The roadshow was a resounding success with the who’s who of India Inc. meeting the Chief Minister during the course of the day. These include meetings with Ritesh Agarwal, Founder & CEO, OYO Rooms, Rajan Mittal, MD, Bharti Enterprises, Kamlesh Jain, Chairman & MD, Varun Beverages Ltd, Shailender Kumar, MD, Oracle India among others. Business leaders from over 300 leading companies participated in the roadshow to explore attractive growth opportunities across Odisha’s focus sectors – food processing and seafood, ancillary and downstream industries in the metals sector, textiles, ESDM manufacturing, chemicals, plastics & petrochemicals and tourism. Naveen Jindal said JSPL has been making in Odisha for the last many years and has invested more than INR 45,000 Crore in the state employing more than 50,000 people. JSPL’s 6 million tonne per annum (MTPA) steelmaking facilities in Angul is the largest in Odisha and 9 MTPA pellet plant in Barbil, Odisha is the largest pelletisation complex in India. He announced that an industrial park will be established in Odisha for downstream units in the steel sector. Marc Hoffmann said SMS Group set up its manufacturing plant in Odisha due to the low cost of land, electricity and skilled manpower. The company is operating in two locations in Odisha currently. 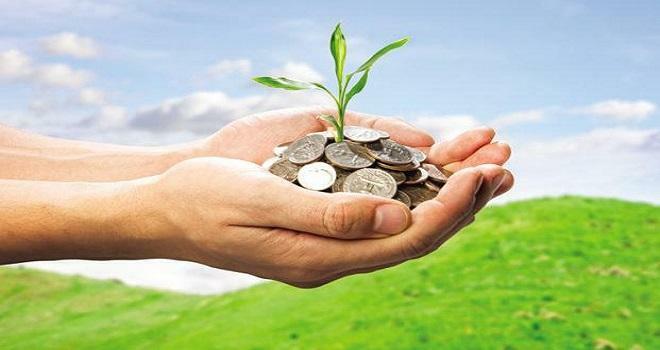 As a foreign investor, the company has received unmatched facilitation support from Odisha government. Ritesh Agarwal said his childhood years in Rayagada district of Odisha had a positive impact on his entrepreneurial journey. He narrated the growth journey of OYO Rooms to India’s largest hospitality in Odisha. “We chose Odisha to come into two years back. In last 2 years, OYO Rooms has grown to become the largest hospitality company with 100 assets and aims to grow to 300 assets in the near future,” he added. Harish Ahuja said apparel manufacturing is a highly employment-intensive industry. “In 2014, Shahi Exports was invited to set up a unit in Odisha. Within a month of our first meeting, we were allotted land and in August 2015 we set up our unit. Encouraged by the facilitation support, we are expanding and have employed over 2300 people already,” he added. “In our vision to continuously create and deliver outstanding opportunities for business growth, my Government has taken significant measures to improve the infrastructure facilities over the last 18 years,” said the Chief Minister. “I am pleased to convey that the port capacity has increased from 20.5 MMT to 190 MMT, power generation has increased more than three folds and stands at 17, 690 MW and there has been more than 50% increase in the road network of the State,” he added. 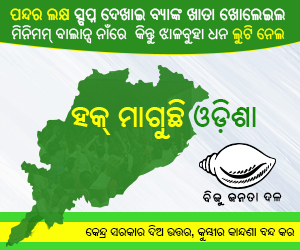 The Chief Minister also launched a single user-friendly portal ‘Invest Odisha’. 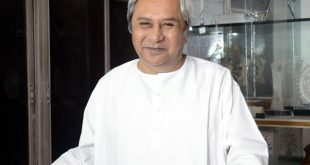 “The website that was launched today goes beyond the mere availability of information and in fact engages with the investors through a unique chatbot ‘Odishi’ which provides customised information to the users,” said Patnaik. The website also enables the investors to compare the competitiveness of Odisha with other states, as well as countries to enable the industry in taking informed investment decisions. “My Government has demonstrated its commitment to deliver projects on the ground. In the last 09 months, we have successfully inaugurated/conducted the groundbreaking ceremony for 50 projects worth investment of more than INR 17,000 crores. This has the potential to provide employment opportunities for around 21,000 people in the State. This would not have been possible without a joined-up government using the mantra of 3 Ts- Teamwork, Technology and Transparency,” informed the Chief Minister. During the meetings with investors, the strategic advantages of Odisha were highlighted such as the low cost of doing business, incentives for investors, dedicated sector-specific clusters and over 1,20,000 acres of land bank available for industrial development. 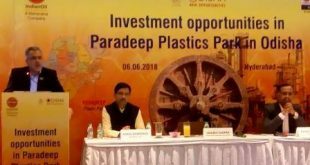 The industrial infrastructure at National Investment Manufacturing Zone (NIMZ), Kalinganagar, food processing park at Khordha and Chhatabar, textile parks at Ramdaspur and Dhamnagar, aluminium parks at Angul and Jharsuguda and the plastics park at Paradip was presented to the investors. ASSOCHAM has ranked Odisha as the No. 1 state in terms of investment implementation rate and the state is consistently ranked amongst the top 3 States in terms of live manufacturing investments in India. Odisha has registered a GSDP growth rate of 7.94 per cent in 2016-17, surpassing the national growth rate of 7.1 per cent.